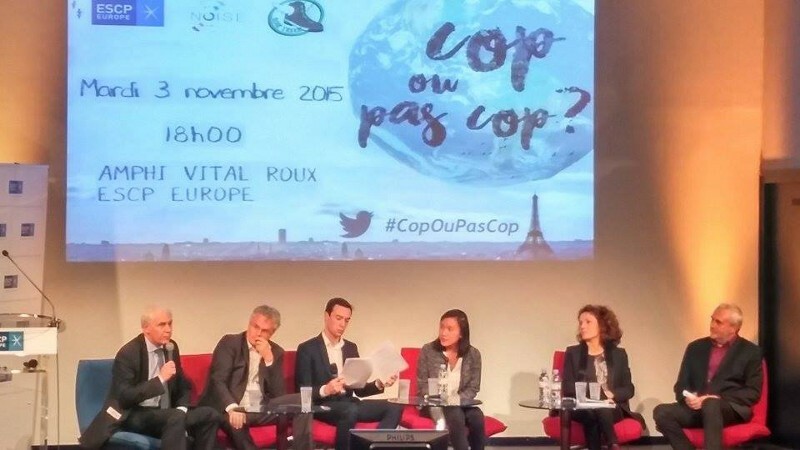 The « Cop ou pas Cop ? 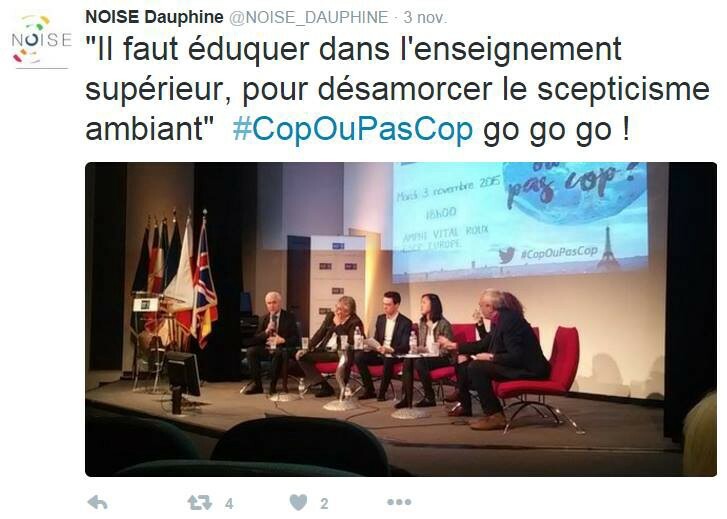 » conference hosted by the NOISE ESSEC, ESCP Europe, and Dauphine as well as Star Trekk took place on November 3rd at the ESCP campus. The main topic of the night was the upcoming COP21 in Paris, what has become an important event for the environment and its sustainability. ESCP Europe’s director first started by reminding us that the rallying of students and professors is crucial in finding innovative ways to protect our planet in the long term. David Levaï, policy officer of international climate negotiations, who will actually be negotiating during the COP21, made the introductory speech. He shared his concerns about not seeing enough improvements made since the first COP. Indeed, the more we wait, the more difficult and expensive it becomes to take action. There is an urgent need to establish common rules and demand a certain degree of transparency between countries in order to ultimately significantly reduce emissions. Emerging countries will have to be financially supported to not jeopardize their growth. Nevertheless, he noted that actions taken nowadays go way beyond what has been done in the past. In their opinion, the failure of the last COP in Copenhagen had shaken the world. As a result, they have observed a whole new dynamic in France concerning the sustainability of the environment and count on its population to act accordingly in terms of way of life and consumption choices. Although they remain skeptical about the COP21 being sufficient to make a big impact, they still believe it to be beneficial and expect real solutions and actions to come out of it. One interesting comment was about the exclusive aspect of the COP. Participants agreed on the potential benefit of having open source 2.0 negotiations to better inform and raise awareness. This conference was followed by workshops. Attendants were divided in groups and assigned to an entrepreneur. We were provided with a question — the same question this entrepreneur faced when creating his company. After some time to brainstorm, each group presented its solutions. Finally, the entrepreneur presented his company. This was then followed by a cocktail reception. This event truly educated people on the matter of sustainable development and its importance as well as the role of the COP. I found its structure offered participants with a way to learn during the conference and to directly experience the issues previously raised in a business context thanks to the workshop.